Unpopular SDF to boycot Further elections, reiterates Federalism Stance. The most renowned but unpopular opposition political party standing challenge to Paul Biya, has said it won’t partake in any forthcoming elections in that Country. The elections billed for anytime this year depending on how Dictator Biya deems fit, will be to elect new Mayors, Councillors, Parliamentarians and for the first time as speculated since 1996, regional elections for regional representatives. In their National Executive Committee meeting that held in foreign La Republique capital of Yaoundé from the 24th to 25th March, the party advanced reasons for not being part of the electoral process again.The major reasons for the boycot is biya’s bad fate in calling for an inclusive dialogue to resolve the war in Ambazonia. The executive bureau of the SDF meeting also noted in regrets that, the October 2018 presidential election that saw Biya winning a 7th term at 86, to rule for 43 years renewable, was a farce. Only 8 out of the 10 so called regions of the “Republic of Cameroon” voted, with exemption being the territory of Ambazonia. To them, to have disenfranchised the Southern Cameroons only endorses the fact that, Ambazonia is a purely Sovereign Nation. It should be noted that, their flag bearer, Joshua Osih, was beaten pant down by Biya and the incarnated Yaoundé Political Criminal, CRM’s Maurice Kamto. In an attempt to propose a form of Government most suitable for a coexistence between Cameroun and Ambazonia, the party maintains its stance on Federalism as the most effective. According to this party created in the 1990s to fight for the minority Anglophones in a fake Unification, a Federation can still workout in bringing these 2 nations together. After going through the Press Statement of that SDF NEC meeting, BaretaNews Desk wonders with a roaring voice why this party can’t just sit quiet or join the mainstream struggle to push the foreign Yaoundé regime out of Ambazonia for credible elections to take its course. To begin with Boycotting of elections, the party was warned by not just Ambazonians but also by other parties like CPP of Edith Kah Wallah not to attempt the disgraceful presidential election of 2018 organized on Ambazonian soil, but they went ahead knowing Biya never loses since 1982. Again, this party wasn’t created for Cameroun but to fight the oppressive Yaoundé regime in the 1990s, so when it failed, the people of Southern Cameroons asked all Parliamentarians and Senators to quit and reconvene in Buea, that hasn’t been done. As for Federation between Cameroun and Ambazonia, we don’t want to go back to historical details from 1960 to 1961, then the Federal Republic in 1972 to United Republic and back to La Republique du Cameroun, engulfing Ambazonia. The day dreaming SDF after shouting a 4 States and now 10 States federation has not been given even an ear from the Yaoundé colonial regime to talk to. Its a failed project. The chairman, John Fru Ndi and his crew know that too well. We won’t waste time and energy analysing inconsequential political groups under biya’s whims and caprices because as at now, no political parties exist in Ambazonia. Only Freedom Movements, Self Defense groups and a colonial army are on that land, as the People of that Nation struggle to reach their political capital, Buea. Top notch Ambazonian revolutionary leader, Ayaba Cho Lucas calls such people as the SDF party, ENABLERS. This is because they keep giving Biya and his assassins room to think that they could ever be a possibility of these 2 nations merging after the carnage, complete massacre and captures they are perpetuating on the people of the southern Cameroons. As the revolution draws to an end, this platform keeps cautioning the people of Ambazonia not to yield to some petite clowns passing for political party leaders. They should not be deceived because the wedding papers between this party and Biya’s CPDM had been signed before many Ambazonians were born. Keep the faith, keep believing and keep defending homeland where democracy, human Right, freedom of speech and expression, Development and bountifulness is unlimited. Stay on course as the struggle draws to a close.Long Live The Southern Cameroons. 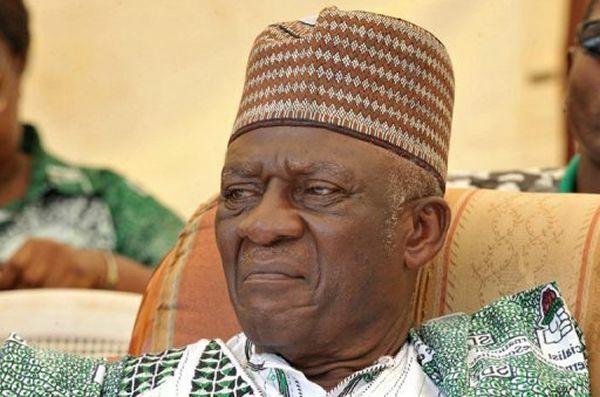 FRU NDI AND HIS PARLIAMENTARIANS ARE A DISGRACE TO THE AMBAZONIA NATION BECAUSE OF GREED. AMBAZONIA DON’T WANT TO HEAR ABOUT THE USELESS FRU NDI’S SDF PARTY. WE HAVE LOST MANY LIVES IN THIS STRUGGLE. WE DON’T NEED THEM ANYMORE IN OUR STRUGGLE. IF THEY ARE SINCERE, LET ALL OF THEM LEAVE IMMEDIATELY THE YAOUNDE HOUSE OF ASSEMBLY AND JOIN US IN THE STRUGGLE. IF NOT JUDGEMENT AWAITS THEM IN BUEA.